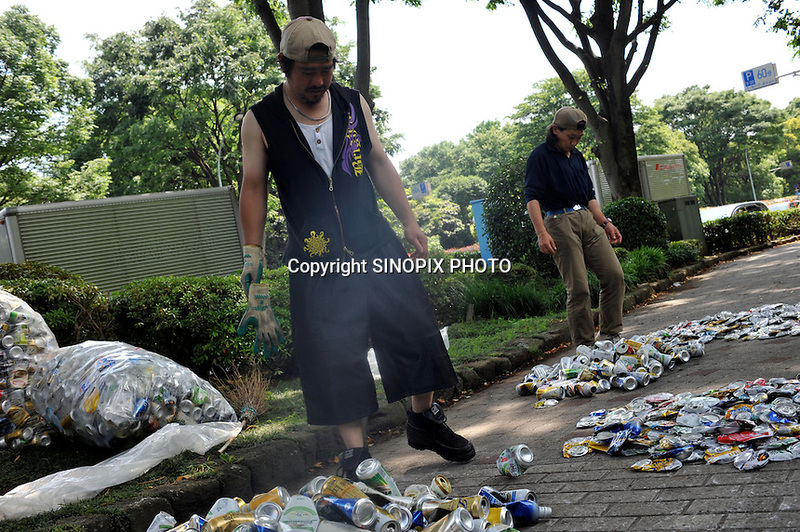 Homeless men crush cans to make a living in Central Tokyo's Yoyohg Park, Wednesday 3rd June 2009. 800,000 workers have lost their jobs in the last few months and the numbers of homless has rocketed with around a 1000 in this area alone. The Yakuza profit from many homeless in the so called "povert business".